Combining English Edwardian style with Art Deco glamour, The Savoy London has been an iconic locale in the city since 1889. The luxury hotel offers nine personality suites, classic River Restaurant, Gordon Ramsay's Savoy Grill, and views of the Thames. There's the legendary American Bar for chic cocktail hours, and the hotel is steps away from theaters, museums, and opera houses. The hotel recently unveiled the renovated Royal Suite complete with The Entourage - Savoy Butler, London concierge, chef and bartender, personal stylist, hairdresser, makeup artist, and therapist. Read more below the photo about The Savoy's New Royal Suite, from our sister publication, Luxury Travel Advisor. 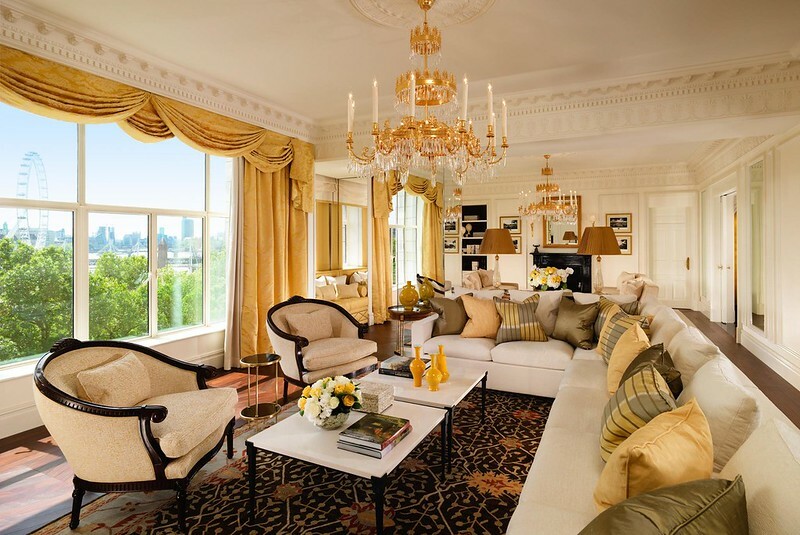 Live like royalty in The Savoy’s new Royal Suite. The top-tier accommodation comprises an open-plan procession of rooms spanning the entire riverside of the hotels fifth floor, designed at bringing new royal standards to today’s living. 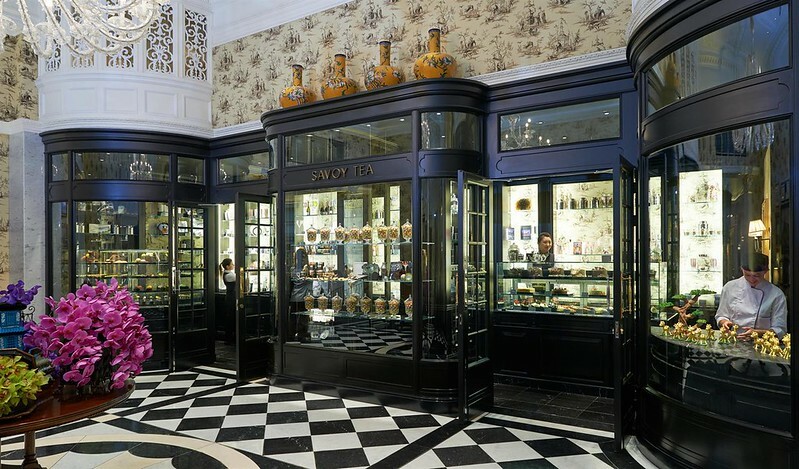 When The Savoy, a Fairmont Managed Hotel, first reopened in 2010, a Royal Suite was introduced as the pinnacle of luxury offering a traditional London experience. Now, the updated Royal Suite responds to expectations of a modern luxury traveler, offering a more residential-style accommodation, meeting desires to “live in spaces as if living at home.” Guests of the Royal Suite, which previously include industry heads, world leaders and visiting royalty, can now enjoy an apartment-like space designed to represent luxury in the style of home they would choose to reside in themselves. Don’t forget: Guests of The Royal Suite will have 24-hour access to their own dedicated Savoy Royal Entourage, ensuring all needs are catered for prior to and during their stay at The Savoy. The Entourage includes a Savoy Butler, London concierge, chef and bartender, therapist, personal stylist and shopper, hairdresser and make-up artist. In addition to the Savoy Royal Entourage, guests of The Royal Suite can expect round-trip airport transfers and a Savoy Butler greeting at the airport, chauffeur-driven Rolls Royce at their disposal during the stay (pending availability) and exclusive used of the private Royal Circle in the American Bar. Designed by award-winning designer Pierre-Yves Rochon and ReardonSmith Architects, The Royal Suite at The Savoy has been remodeled to enhance the center of the space and encourage a harmonious flow between the rooms. Living spaces, while still luxurious, reflect a more comfortable and informal experience. In the living room guests will find a new, private bar with a rippled glass façade and floor to ceiling windows, providing views of the River Thames and other iconic landmarks. The launch of the Royal Suite comes soon after the introduction of the brand new luxury Savoy Suite, which can be configured as one-or two-bedroom accommodations that offers the same views as the Royal Suite, so bring your entourage for a suites-of-Savoy take over.